Crown Lengthening procedure in Jacksonville is performed by a periodontist in order to expose tooth structure for restorative procedures. Often times, teeth may be too short too hold a crown. 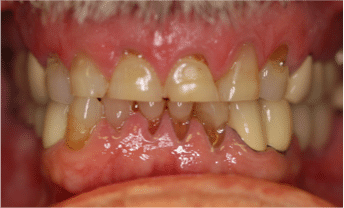 Other times trauma, fracture, or decay below the gumline may make the tooth difficult to restore. The crown lengthening procedure solves all of these problems. 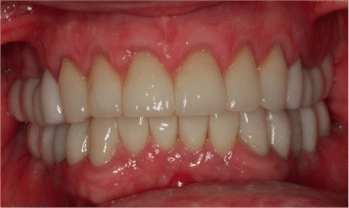 A similar procedure can be utilized to help correct a "gummy smile." In this scenario, your periodontist will remove excess gum tissue in order to restore an ideal length and shape to your teeth. Sometimes, because only excess gum tissue is covering the teeth, crowns may not be necessary. For more information about this and other periodontal therapy, please contact Dr. Kuznia, Dr. Storch and Dr. Bianco to set up a consultation!